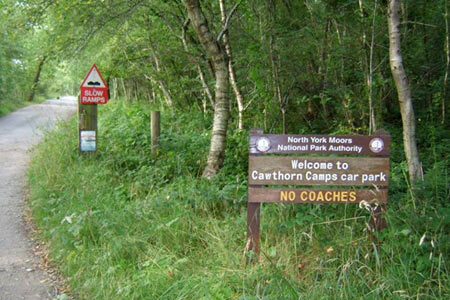 The North York Moors walk starts from the Cawthorne Roman Camp site just north of Cawthorne. The circular route takes in sections of the Tabular Hills Walk and Cropton forest walks, the Seven valley and Cropton Banks. On completion of the route there is a circuit of the Roman camps with a panorama which includes a good deal of the walk you have just completed. A GPX File is available for download (see walk description).